Yesterday’s gospel reading of the rich man and Lazarus (Luke 16:19 – 31) bears much spiritual profit. There are a number of themes for contemplation, but I will focus on two namely, who is the rich man? and, what does the chasm that divide signify? Both themes are applicable to each and every one of us. So, who is the rich man and what was his “crime” which saw him being denied the bosom of Abraham? His crime was indifference. He was so self-absorbed that he had no time for anyone else. 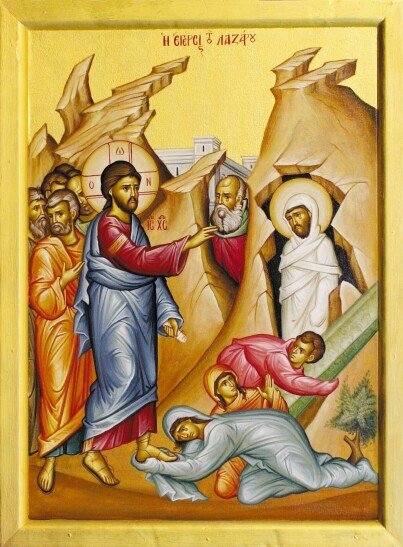 Although the parable makes initial reference to wealth, the words of Patriarch Abraham are perhaps more accurate in describing the evil : “son, remember that you in your lifetime received your good things, and Lazarus in like manner evil things” (v 25). Are we not all guilty of indifference? Are we not all so focused on our own lives that we ignore our neighbour? Do we not strive after the things that are deemed “good” in this world and ignore the plight of our fellow man? Do we not take the view that God helps those who help themselves? See, we all capable of being the rich man. I am reminded of the words of St John Chrysostom who said that the rich exist for the benefit of the poor and the poor exist for the salvation of the rich. We are all rich, if not in money then in abilities which are God-given. Hence we are all obliged to consider those that are less fortunate than us as a means of us attaining salvation. Keeping our good things to ourselves does nothing other than weigh us down in this world and condemn as for the next. This brings me to the second point: it is in this lifetime that we have an opportunity of gaining life eternal. There is a chasm between heaven and hell. Whatever side of the divide we end up is determined by what road we take in this life. Do we take the good or do we take the evil? It is our choice. The irony is that our choice in effect become a self-fulfilling prophecy. Accordingly, those on the wrong side of the divide cannot be seen to complain because, after all, they received their just reward for their earthly efforts. The programme for this week is as follows: Tuesday evening 6:45 PM adult education class continues; Thursday eighth of November the archangels Michael and Gabriel from 7:30 AM; Saturday morning 10thof November divine liturgy in English 9 AM to 10:15 AM. On the feast day itself 9 November from 8 AM. We will be celebrating with matins, divine liturgy, lity, artoclasia. There will also be a sweet stall to assist the needs of the church. All clergy will be present. On Sunday, 11 November after the divine liturgy we will be holding our annual fundraising luncheon at the Hall of Alexander the Great in Inglewood. Tickets are $30 adults and $10 children and can be purchased from the church. We look forward to greeting you at our luncheon which promises to be great fun (and without being biased I think we put on a great show) – barbecue prepared by the Souvla boys. Do not think or do anything without giving prayer to God. Doing something God – pleasing benefits both the actor and re – actor and gives purpose. Without dedication to God it lacks purpose. As the psalmist puts it: “Unless the Lord builds the house, those who build it labour in vain. Unless the Lord watches over the city, the watchman stays awake in vain.” (Psalm 127:1).